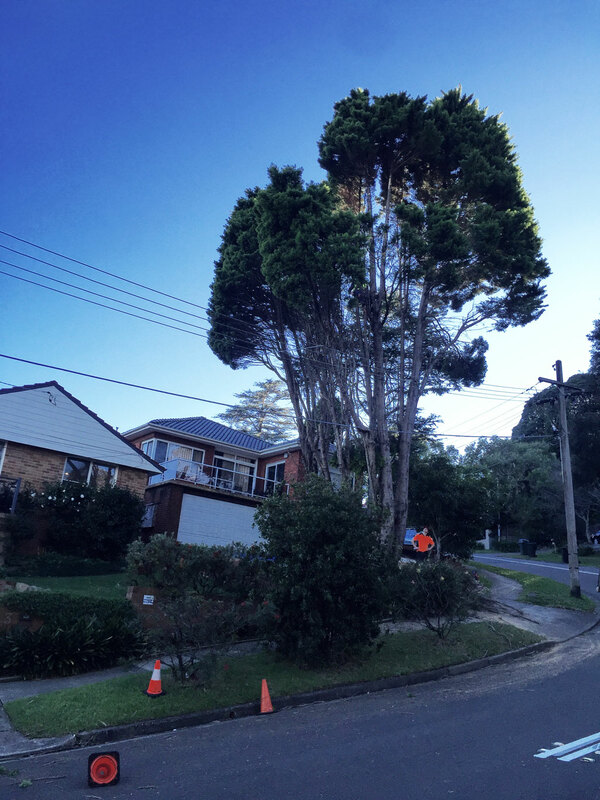 In Lane Cove, on the lower north shore of Sydney, this pine tree was definitely planted in the wrong spot. Always consider the long term effect of planting a tree. This one needed to be removed, as lopping will no longer prevent interference with the electrical wiring overhead. It’s a tricky job, ensuring no branches cause damage to the wires, but we managed it in a day, and said goodbye to another happy customer. It pays to get a professional when working around 30,000 volts.